Discussion in 'Audio Hardware' started by Vocalpoint, May 11, 2011. This is my routine that is the result of needle dropping for the last 3 or 4 years. I've done a lot of ridiculous things along the way and it has been a process of trial and error. This Forum, in fact this thread, has been a great resource along the journey. Equipment: Modified AT LP120 TT - preamp removed, rubber mat and heavier counter weight added, with AT440mla cart to Rega Fono mk2 phono preamp to E-MU0404 USB audio interface. One of the most important steps, clean the records as well as you can. I use a DIY suction setup and/or a Knosti Antistat. 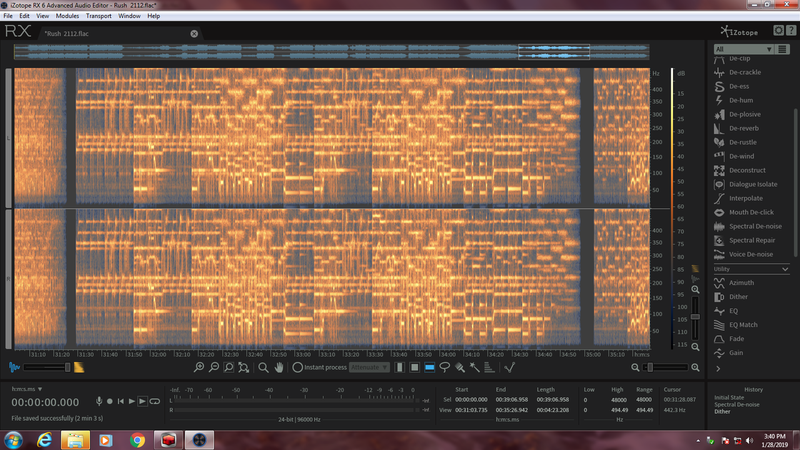 Capture using Izotope RX4 Advanced, at 32 bit floating 192000 Hz. Capture at a maximum peak of -6dB. I capture the two sides as two seperate files. 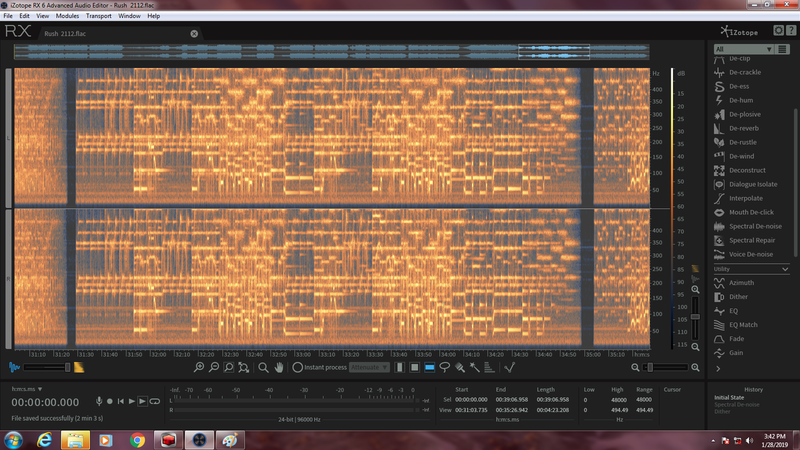 I also do most of the rest of my processing in Izotope RX4 Advanced. Firstly I invert the phase as the E-MU0404 inverts the phase in either the conversion to digital or when it sends it to my computer via usb. I do not arbitarily use a set declicking level, such as setting the declicker to 1.0 and running it over the whole file. I would not recommend that, even at low levels for a few reasons. It may do a good job or it will very likely butcher transients somewhere, not do the job well or leave artifacts. The declicker on the RX4 is fantastic, but at times I haven't been able to use it for the reasons mentioned. I listen to the file part by part. Some parts don't need declicking, some just need really light declicking (0.5 to 1.5 single band) and of course some parts need a bit of work, whether it is higher level and/or more focussed declicking, decrackle or denoising. The RX4's denoiser is good if used carefully. I mainly use it inbetween songs or in quiet passages. 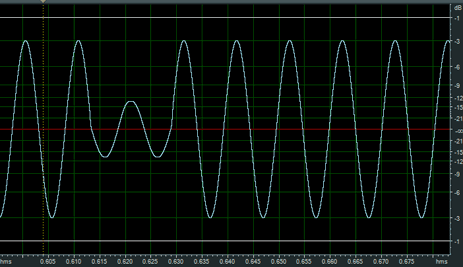 I then run a High Pass filter at 20 Hz using the RX4 EQ. I then adjust volume. If I were to just normalise the file to a maximum peak of -0.3 dB, then its almost never loud enough, whilst it peaks at -0.3dB, the RMS will still be around -16 / -18 dB, not enough. I'd have to drive my main rig, head phone amp or car stereo at close to maximum volume, not ideal. Initially I started using Ozone's Maximiser (a limiter) to set the maximum peak and then increase loudness. This obviously coloured the sound significantly and not for the better. I'm not criticising Ozone, it may be a good mastering tool, however the records we needle drop are already mastered. How did I resolve this? Well the solution was simple but labor intensive. I normalise the file to -0.3dB and listen, usually it won't be loud enough. So I increase the gain on the normalised file until the volume is right. That's usually (not always) an RMS of around -12dB (-9dB for mono records). Obviously I'm then left with a file with clipping as at points it peaks beyond 0dB. I stress that these are random peaks, if they were consistent, I'd reduce gain, I'm going nowhere near declipping the file. Some records that are very compressed my be fine with straight forward normalisation, some files will only have 1,2 or 3 overshoots. I then zoom into the peaks exceeding -0.3dB and mark them as a region. The overshoots are only usually between 0.1 or 1dB, occasionally a bit more. I then undo the gain adjustments returning the file to its captured volume. I then go to the overshoot regions (which have been zoomed in to the actual spike) and reduce the gain by the margin it would overshoot by, usually a reduction of -0.1 dB to -1dB. 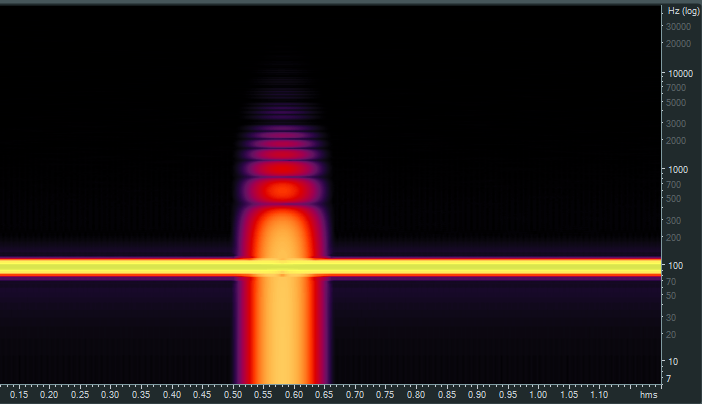 I then return the file to the optimum volume I set, leaving a peak of around -0.3dB (or at least under 0dB). I'm left with a file that hasn't been compressed or limited, with dynamics intact and that's a reasonable volume. I then split the file into to tracks and export as 32 bit (floating) 192000Hz Wav files. I then use the standard TPD dither in Saracon to dither to 24 bits. FrankieP, gabbleratchet7 and miguelfcp like this. The result is an overall louder file without altering its dynamic range. Can that -2 dB difference in the first bass drum hit be noticed? Probably with a (very sensitive) decibel meter. By sheer ear? Not at all. Again, I just do this in very conspicuous situations like this one. I could go further and make it as labor-intensive as yours, lowering the new noticeable peaks resulting from the first tweak, but I only do it if the resulting waveform has a new peak as evident as the first one. marcob1963 and gabbleratchet7 like this. I'm looking to get something better than the restoration tools in VinylStudio. I don't do a lot, currently, just some basic click repair and normalization. I see B&H has RX Elements for $29 iZotopeiZotope RX Elements Audio Restoration and Enhancement Software (Download) . It looks like a previous version. It's hard to go wrong at that price. Just wondering what you think of those tools and if that is the version you bought or if you got the RX 7 version. I just picked up iZotope RX Elements for $10 at B&H. Grant and Subvet like this. You're left with a file that's been manually compressed or limited, and likely distorted with transients not present in the original file. Professional CD mastering brickwall plugins use spectral multiband processing, so only the frequencies of the peak are limited, bringing the total waveform level down to a threshold, and an appropriate envelope is applied around the peak limiting. The program doesn't have a lot of features, but it is very useful, and worth the price alone for the de-clicking module. I'll check it out in the next week or so. I have Audacity, Magix Audio and Music Lab Premium, Magix Audio Cleaning Lab, and Sound Forge Audio Studio 12. I also have Click Repair and a nice selection of VST plugins to make the programs more robust. Each program has it's pluses and minuses. The $10 price for RX 7 Audio Editor was just too good to pass up. Is it RX6 Elements or RX7 Elements? The iZotope page describes "RX7 Elements" while the B&H page lists "4 Plug-Ins from RX 6 & Spectral Editing". I have 6, this could be a deal for parts of 7.
iZotope RX Elements Audio Restoration and Enhancement Software is what B&H receipt called it while the download was RX7 Elements. LOL harby, you are a true detective! 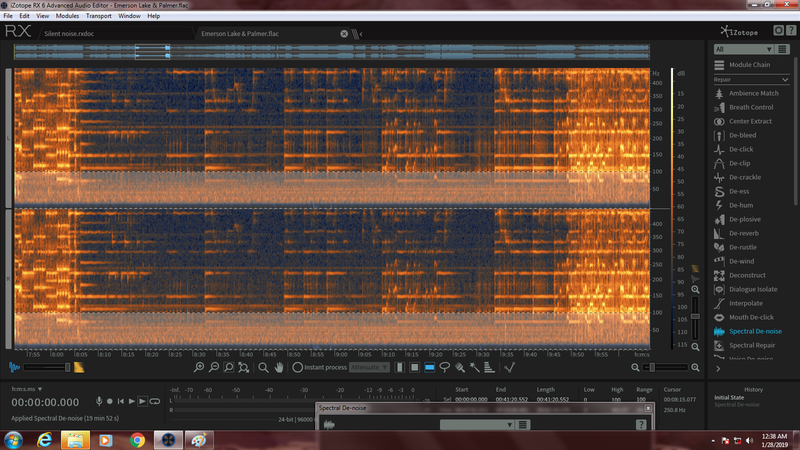 I see too the Batman is hidden in the waveform. 1) Where did you get it for $10? If you don't want to say, send me a private message. 2)Since Magix owns Sound Forge, it figures that the Audio Cleaning Lab would have somewhat similar tools. The only minus for the Audio Cleaning Lab is how cumbersome the controls are. But, is does have some very nice features in it, and it's so cool that it comes free as a bonus to SF. I can say and @arisinwind basically did say. 1) B&H or bhphoto. I have now found the deals email they sent me with the $10 deal. But I did not open it the day they sent it. Maybe one had to click from the email. That deal is over. But BH has it for $29 today, and that may expire anytime. I'm glad it is verified to be the 7 version and I'll get it now for the $29. 2) Magix Audio Cleaning Lab is Magix' own program they have developed for 15 years, while Sound Forge is from their recent purchase of the Sony tools. There are similar tools, but they are from different codebases. The Magix is so convoluted to use that it is almost impossible to use well IMHO, and I have bought it a few times over the years - not every version, and I'm always disappointed in its user interface. Grant, arisinwind and gabbleratchet7 like this. I picked up RX 6 Elements for $19 from Reverb. I'm learning how it works and will use the de-clicker. I know I'm going to want the standard version before too long. Are there any good mailing lists that may offer discounts in the coming months? Your right it was B&H and apparently for one day only at $10. Magix is not an easy program by any means. It takes some time to learn. But it does a great job. I use it the most because it is fast and easy to preview your work. You're right about the user interface. I have had on more than one occasion contact Magix on how to do something in the program because it wasn't intuitively obvious. Something as simple as adjusting the right and left channel volumes independently. Once they showed me it was "Ahh. OK I see it now. But why this way?" Here's one that made me smile. The person that answered my questions was German and didn't speak English. He used some translation program which at times I would read and think "What does this mean?" Magix Audio and Music Lab Premium is different but similar to Magix Audio Cleaning Lab. I use it the most because it is fast and easy to preview your work. With Magix the changes are done in real time instead of applying and saving the file. So you can select changes, tweak changes instantly. What I have found with Magix is a little goes a long way. Most changes I do are at the far end of just a little instead of in the middle of the selection. It allows recording and playback at at higher sample and bit rates and has more features. It's interface is also different with my main gripe being some controls are a little too small for my taste. It come with a huge selection of plugins and you can add more easy. I'm surprise at the number of free plugins available on the web. Our host once mentioned a compressor he uses and I found a free plugin (highly rated) that emulated that compressor. I've done over 600 needledrops in the last few years using Magix Audio and Music Lab and I'm pretty happy about them. Major revelation tonight, huge. Bear with me this is going to be a little long and have several screenshots. I believe I figured out a solution to my subsonic issue. I think this will work for most anyone. First thing I did was record 2+ minutes of the silent track of a test record and saved the file for future use. I opened up the file and in RX denoise I learned the noise profile. This is my setting I will use on all my future drops!!! I'm not sure the images show what I was seeing as I undid and redid the denoise process. To be clear I used the silent noise recording to create the noise profile you see below and used it on the the whole file 0 to 100hz. Here are some better screenshots. On these I had already muted from 0 to 18hz. I will not be doing this in the future if this works the way I think but I see no need to redo and drops because I cut 0-18. So what you basically did was take a sound sample from a test record and filter that out of your music. Why not just take a sound sample from between tracks on the record your working on and filter that? bever70 and Grant like this. OK I'm off work now and stayed up way past my bed time. I sometimes over think things. So I might have gotten a little beside myself. It seems like forever I have been more of a purist maybe because you get a lot of flack from some members about to much processing. My idea for the test record was to get a setting that shows the TT's floor noise and by using that setting on the whole file would create some consistency and minimize possible irregularities from scanning a irregular quiet spot. Using the Take a Pebble sample I made several sample and posted them in this order. At this point I'm impressed with the quality and will continue to follow this option I'm still weary about processing the whole file. I'm not even sure I will hear any possible improvement on typical loud records at the risk of causing damage. These samples are 24/96 flac files a little longer than normal but I think a good range of instruments and quiet to loud spots only thing missing are vocals. Ahhhh, I understand now what you're doing. For the gaps between tracks I will select that part with no music and reduce the volume to zero. Sometimes I'll fade the last few seconds of music. If I have a very noisy record I'll sample between the tracks and reduce that noise over the tracks. It doesn't take much reduction to get noticeable improvements especially on quiet tracks where the surface noise can be distracting. Sometimes I'll only reduce noise on a single track that needs it or even sections of a track. Doing this I can usually take a barely listenable record and make it quite satisfactory. Grant and ghost rider like this. This has been the way I did everything. Now I'm looking at denoising the whole file to see if there is no harm done and possibly improving the quiet parts. Here are 2 more screenshots. This is Rush 2112 Tears. I did this drop last week or so. I had already cut 0-18hz out by muting it. I took the file ran the denoise at level 25 and look at what it does. I'm about to sit and listen to this, so far I have heard no harm from denoising the whole file even at this level. Yes. That would be much more accurate, as no two files have the same noise profile, even within the same album side. BrilliantBob and arisinwind like this. No two gaps on a record are the same, which one are you going to use? I understand your point. The way I see it I'm doing 10x more processing than I've been doing. The test record is conservative at best compared to a gap profile on the record. Besides all my archived drops don't have a gap to scan. This is not worth redoing drops. I usually check what each gap sounds like. They usually sound just about the same so I'll pick one and use it if needed. If there are significant differences - usually at the beginning of a side versus the ending I may take a noise sample from the gaps preceding the tracks and apply the noise reduction to each track separately. The big different in surface noise is usually from side to side. One side will be dead quiet and the other have some type of surface noise that detracts from the listening experience. For records without gaps - usually live concerts - I saved several noise profiles that I can use to best match what I hear in quiet passages if noise reduction is needed. Using Magix Audio & Music Lab, doing the above is quite easy and quick. The program applies the noise filter in real time so there is no waiting for the filter to be applied. You can check your work in real time and make adjustments as necessary. It does take a little computer processing. My previous computer was not able to handle many Magix changes without a warning that resources were low and to apply the changes to the files to continue. Many records do not need any noise filtering. Especially new records. The surface noise is so low it doesn't detract from the music. Cleaning the records really helps reduce noise as well.